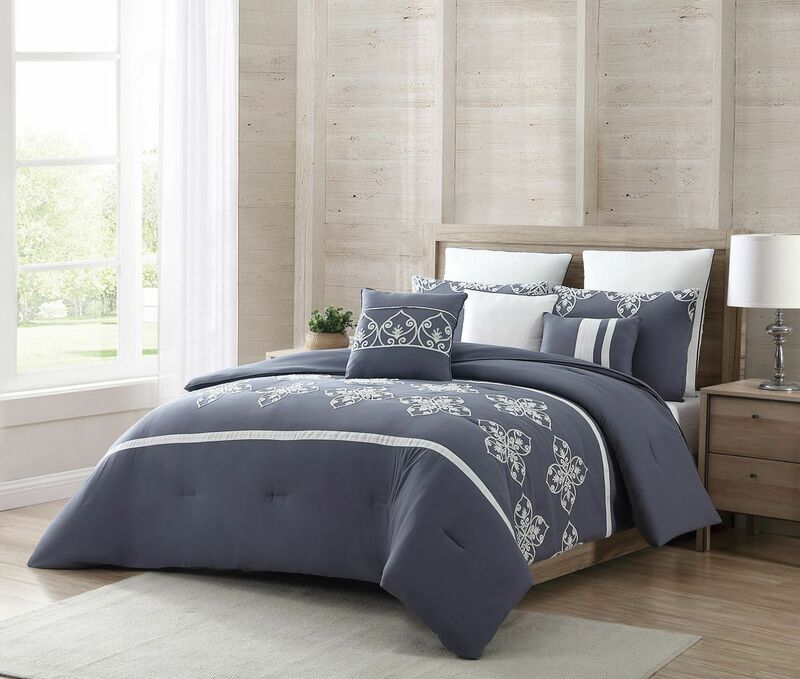 Dress up your bed in style with this Delina comforter set. Decorated with embroidered floral motif on denim ground, this beautiful bedding set brings an elegant look to any rooms decor. 2 euro shams and 2 decorative pillows included.